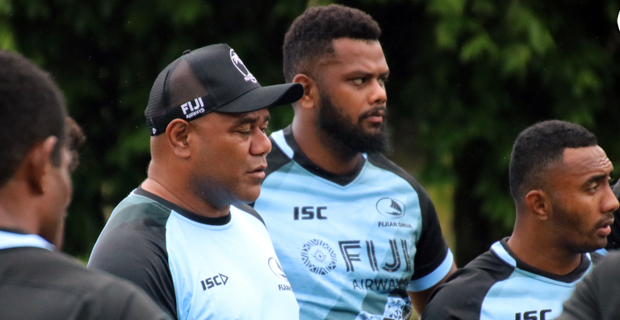 Fiji Airways Drua Coach Senirusi Seruvakula says there are only seven teams in this year's National Rugby Championship and there is no bye, which means that they will be playing every week, so there is a need for the team to maintain consistency in their training and recovery. He says this is why getting the basics right and maintaining discipline are two key focus areas for them ahead of their opening match against Melbourne Rising. The Fijian Drua will have four home games this season. They will take on Melbourne Rising in their first home game at 3pm at Ratu Cakobau Park next Saturday. The Drua’s other home games will be at Churchill Park against Brisbane City on the 8th of next month, they will again play at Ratu Cakobau Park against NSW Country Eagles on the 29th of next month before taking on the Canberra Vikings at Churchill Park on October 6th. Forwards: Eroni Mawi, Joeli Veitayaki, Mateo Qolisese, Ratunaisa Navuma, Mesulame Dolokoto, Vugakoto Veremalua, Mosese Ducivaki, Luke Tagi, Alivereti Rabukawaqa, Tevita Naqali, Peni Naulago, Albert Tuisue, Mosese Voka, Johnny Dyer Jone Navori, Filimoni Seru, Eremasi Radrodro, Peni Raidre. Backs: Serupepeli Vularika, Frank Lomani, Peni Matawalu, Alivereti Veitokani, Jone Manu, Cyril Reece, Jona Sawailau, Poasa Waqanibau, Apisalome Vota, Asesela Atunaisa, Avete Daveta, Levani Kurumudu, Aporosa Tabulawaki, Apisalome Waqatabu, Enele Malele. Shadow Players: Atunaisa Maiono, Seru Cakobau, Penijamini Makutu, Samuela Saqiwa, Sailosi Dawai, Elia Canakaivata, Aisea Natoga, Veramu Dikidikilati, Peni Vukayawa, Apenisa Deve, Joseva Turuva, Asesela Ratudamu.